Purchase a 7 Night Vacation Certificate for only a Limited Time! New Inventory Just Added. Take Advantage Now! 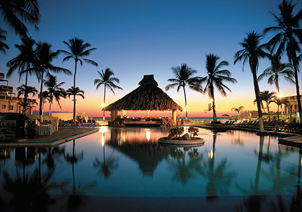 Take advantage of a weekly rental at one of over 6400 worldwide resorts for this low price! This price is not per night. It is for the entire week! Don't miss out on the opportunity to take advantage of our Vacation Rental Certificate Program at this great price. Certificates must be redeem and reservations booked by January 1, 2020! Sorry no extensions on book by date. This certificate is valid for a 7 night stay. A resort condominium provides luxuries and flexibility not available in a hotel stay. Whether you are traveling with a spouse, with friends, or with children, a condominium accommodates all your vacation needs. Book spacious condominiums ranging in size from studios to three bedrooms. Relax in large living rooms and dining rooms, and prepare food in fully equipped kitchens. Your choice of destination lets you stay in tropical paradises, snow-capped mountains, lush country sides, bustling cities and more. Travel the farthest reaches of the world or explore regions close to home. Choose from thousands of resorts worldwide, including international stays in Europe, the Caribbean, Australia, and Mexico. Travel the USA and experience the best of Florida, Colorado, California, Hawaii and more. What is the Resort Vacation Certificate? This Resort Vacation Certificate entitles the recipient to a seven-night stay at a participating resort. Vacations in this program are based solely upon availability at the time of booking. The best availability is during off-peak times of the year. Peak times are generally when children are out of school, holiday weeks, spring break and summer months. If space becomes available during these peak times, it will most likely be on short notice, 3 - 14 days prior to travel. Can I transfer my vacation certificate to another person? Once your certificate is activated in your name and address, the certificate becomes non-transferable. Yes, you can by going to www.resortcerts.com/skyauction/ and clicking on "Preview Resorts". Reservations are booked on-line! Go to www.resortcerts.com/skyauction/. Sign in using your Certificate Serial Number. Once signed in you can search availability and book your reservation. Reservations must be booked by May 30, 2019. You can travel up to 12 months from that date. Please note that you can only see availability up to 340 days in advance. Availability is updated daily. Once certificates are issued they are non-refundable. Please be sure to check availability prior to completing the purchase as not all dates are available. Expiration dates can not be extended.